This photograph of the library in Combermere Abbey was taken by Sybell Corbet in 1891 . 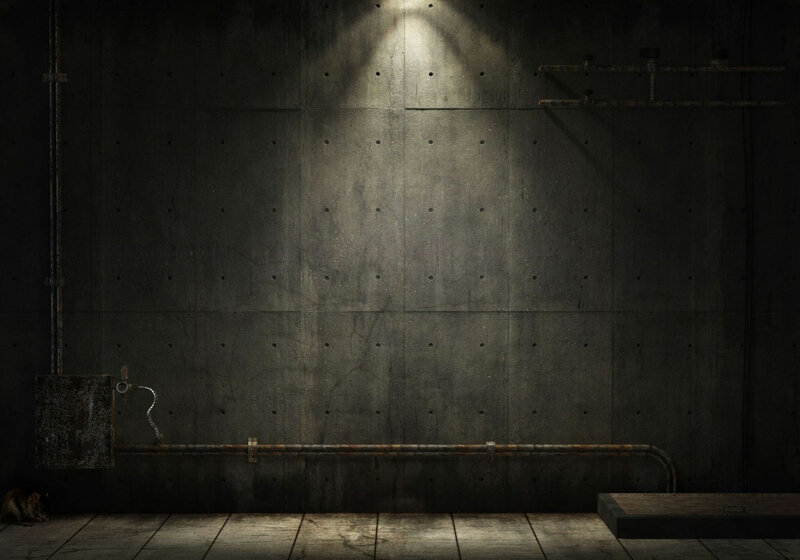 The figure of a man can faintly be seen sitting in the chair on the left. His head, collar and right arm on the armrest can be clearly made out. This is reputed to be the ghost of Lord Combermere. The first Lord Combermere was a British cavalry commander in the early 1800s, who distinguished himself in several military campaigns including the Battles of Salamanca and Bharatpore. In 1817 he became became the Governor of Barbados. While serving as Governor, he is mentioned in unverified stories of the Chase Vault as being a witness to its allegedly “moving coffins” He died in 1865. The second Viscount Lord Combermere died in 1891, after being struck by one of London’s first motor cabs which was electrically powered. 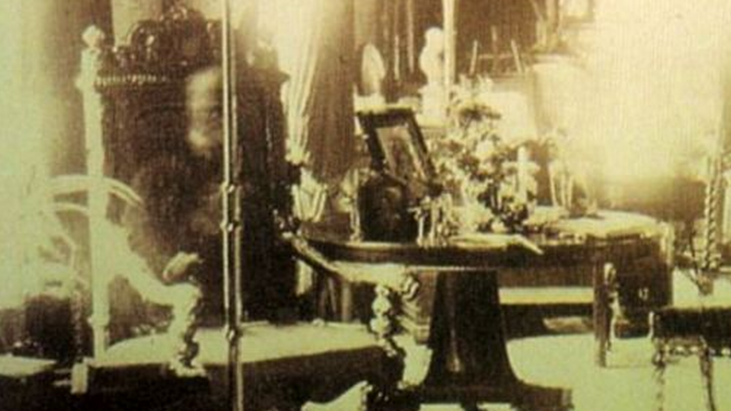 While Sybell Corbet was taking the above photograph, Lord Combermere’s funeral was taking place over four miles away. 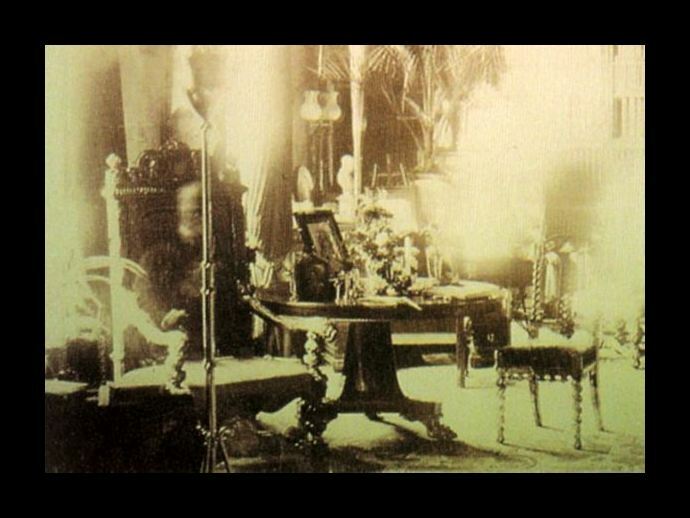 Corbet recorded that the photographic exposure took about an hour. It is thought by some that during that time a servant might have come into the room and sat briefly in the chair, creating the transparent image. This idea was refuted by members of the household, however, testifying that all were attending Lord Combermere’s funeral.